The dumbbell seated trunk twist is a beginner level core conditioning exercise that targets the abs and obliques. 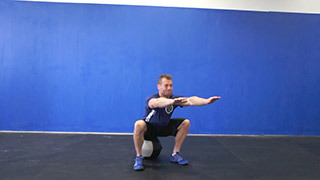 The medicine ball reverse lunge press is a full body compound exercise that is suitable for all fitness levels. The burpee medicine ball press is a full body conditioning exercise that is suitable for intermediate and advanced fitness levels. 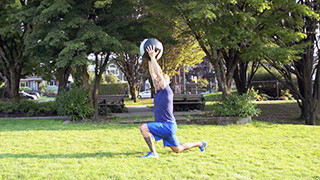 The medicine ball trunk twist is a beginner level core conditioning exercise that targets the abs, lower back and obliques. 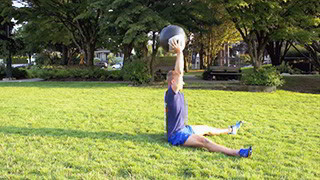 The medicine ball sit-up is a beginner level core conditioning exercise. 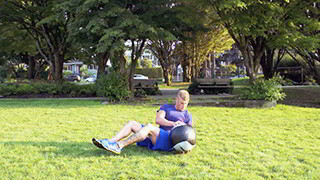 The medicine ball double leg drop is a core exercise that targets the abs and obliques. 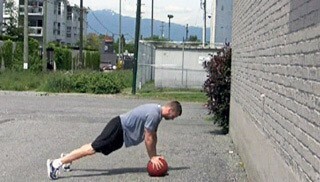 The d-ball slam is a full body conditioning exercise that targets the shoulders, back and legs. The medicine ball squat is a beginner level lower body exercise that targets the glutes and quadriceps. The wall ball is a great full body exercise that combines the front squat and push press and is suitable for all fitness levels. 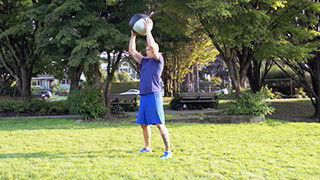 The medicine ball slam is a full body conditioning exercise that targets the back, shoulders and core. 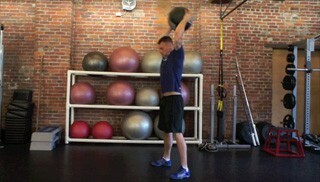 The medicine ball crunch on the Bosu is a challenging intermediate core exercise that targets the abs. 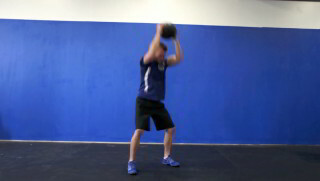 The medicine ball double toe tap is an intermediate core conditioning exercise that targets the abs and obliques. The medicine ball crunch on the stability ball is an intermediate core exercise. 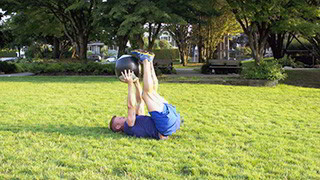 This exercise targets the upper abs and uses the medicine ball for added resistance. The single leg knee in on the medicine ball is an intermediate core exercise that targets the abs and obliques. 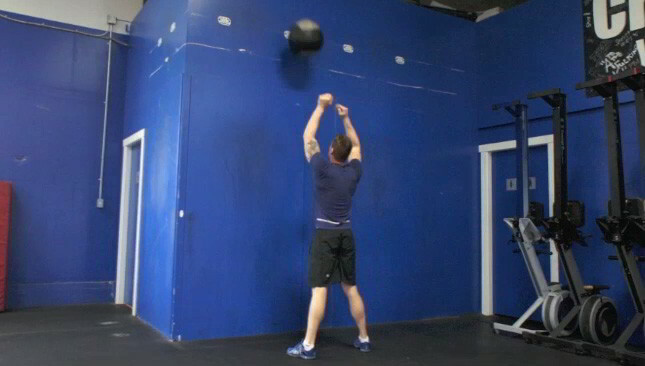 The medicine ball burpee throw is an intermediate full body conditioning exercise.